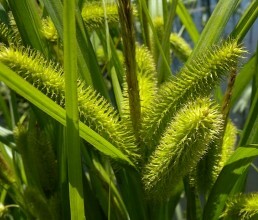 Carex comosa is wetland sedge that is perfect for rain gardens. 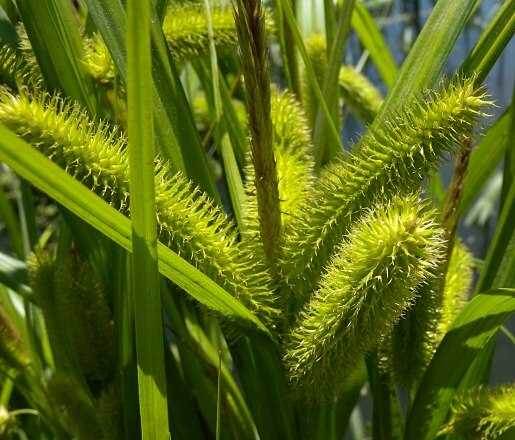 Carex comosa is wetland sedge that is fairly easy to grow and thrives in moist environments. It can be used in rain gardens, wetland restorations and for soil retention. Carex comosa attracts brown-eyed butterflies, other species of moths and skippers, as well as birds feeding on the seeds and using the grass as nesting.